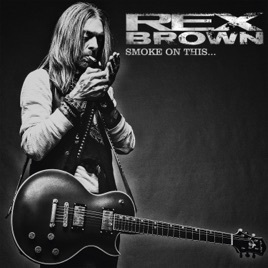 Smoke on This… is the kind of tried-and-true, classic metal that only a veteran like ex-Pantera bassist Rex Brown could make. And Brown, on his first solo album, wastes no time kicking into high gear, starting with the swaggering riff-rock of “Lone Rider.” “Buried Alive” sets a mood with a rousing post-grunge sound that’s filled out with soft, acoustic moments. And before reaching its heavy finale, “One of These Days” engages with a moving vocal performance over gritty organ. Wonderful, swampy, bluesy, heavy-as-balls metal riffing, and a singing voice reminiscent of classic Gene Simmons. I freakin' love it. Rex coming out into the limelight! Very impressed with the 3 songs, can’t wait to hear the rest! Reminds me of George Harrison, but with a razors edge! Hats off to Rex!